Earlier today the entire westbound Mass Pike highway was closed in Palmer due to a multi-vehicle accident. Massachusetts State Police confirm a collision occurred close to a construction zone after Exit 8. Traffic was held up for a couple of miles in the afternoon because of the lane closures. Figuring out who is at fault in a chain reaction lawsuit is sometimes extremely difficult to ascertain. This because each individual involved recollects the sequence of events differently. When concluding who is at fault in a chain reaction car accident, it is imperative that the investigation focuses on the driver that was negligent. This means driving the car in a way that was unsafe to the public, that is the driver who should be held liable for all injuries in a multi-car crash. The negligent action in this scenario is usually ignoring the laws of the highway. For example, rules dictate allowing space between vehicles as they travel down the lane or highway. This is to prevent a chain reaction of one vehicle from to a sudden stop. 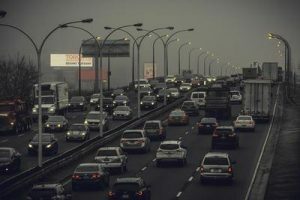 Failure to drive a safe distance away from a car, may make you liable in a chain reaction Massachusetts personal injury lawsuit. Multi-vehicle case accidents can be troublesome in lawsuits in assigning fault and in determining the exact sequence of events. The lawyers at the Law Offices of Jeffrey S. Glassman are committed to apportioning fault appropriately and seeking redress from the liable party. Please call the attorney at (617) 367-2900 to get started with your case.